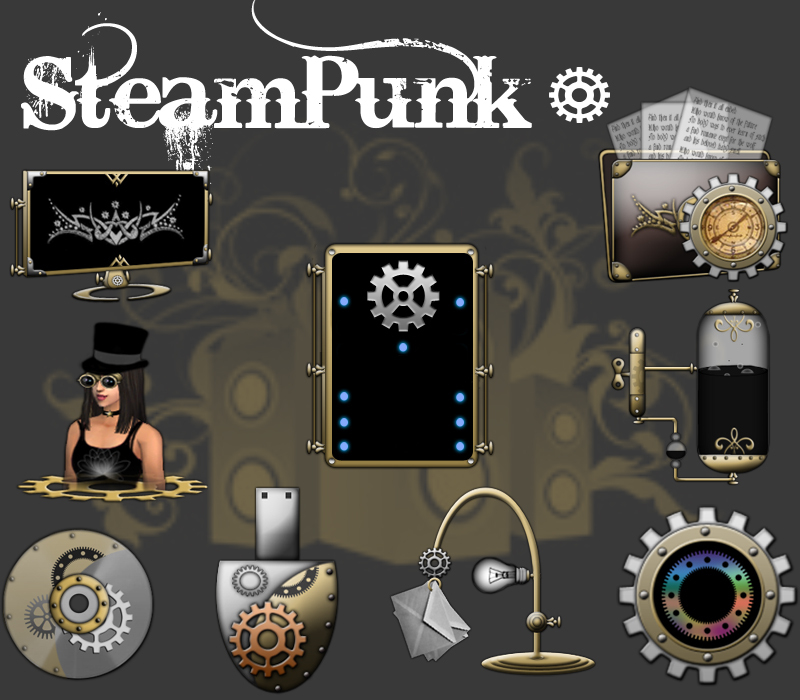 The matching icons to the amazing steampunk window blind by K10w3. This set includes vista live folders as well. WC is really slow this morning, or I would have downloaded! I love this set, Vamps...this is a MasterSet in every sense. Great ideas, great and detalied artwork....colors right on...I see why you are a Master. Thanks, Vampy for a great IP set. YAY! It's done!!! (You know it...I'm doing my Happy Dance) Outstanding work, Kitty. Thank you! This is an awesome set of icons. Seeing is believing. A must download. Outstanding!! !� �These I'd have paid for. This IP set is the perfect compliment to Karens excellent Steampunk WB and is top class in every respect. I'm suitably impressed and it's a 5-fer for me. Very classy and thanks for sharing this with us, Kitty, it's superb. Congrats Kitty...Doing what you do well. OUtstanding in color and execution! Now these are some really great icons Kitty. Well done!